(1974) "Fox on the Run"
"Fox on the Run" is a song by the British band Sweet, first recorded in 1974. It was the first Sweet single written by the band, rather than producers Nicky Chinn and Mike Chapman, and was their 14th single overall. "Fox" being slang for an attractive woman, the lyrics are apparently about one of the band's groupies; Bomp! called the song "a definitive hard-rock bubblegum record" and "one of the last glitter classics". Two versions were recorded by Sweet. The original version was produced by Mike Chapman in association with Nicky Chinn on the European version of the 1974 album Desolation Boulevard. Sweet also recorded and produced a more pop-oriented version as a 7" single in 1975, which is the more familiar version of the song. The 1975 single version was included on the Capitol Records version of Desolation Boulevard. The song appears in numerous films, including Dazed And Confused, Detroit Rock City, When in Rome, Catch .44, and The Goods: Live Hard, Sell Hard. Its inclusion in the trailer for Guardians of the Galaxy Vol. 2 led to the song reaching number one on the iTunes Rock Chart in late 2016. "Fuchs geh' voran" is a German cover version of the song with lyrics about a literal fox being chased by hunters to sell its fur. It was released as a single in 1975 by the German rock band Scorpions as The Hunters. The B-side also features a German cover version of another Sweet song, "Action", as "Wenn es richtig losgeht". Many artists and groups have covered this song, including The Regrettes (for the AV Undercover series) Eric Singer, Girlschool, Red Hot Chili Peppers, You Am I, Mad Max, Deadsy, Frankenstein Drag Queens From Planet 13, Ace Frehley, Make-Up, Fender Boys, The Lolas, The Academy Is..., Sweet Savage, and Nip Drivers for the Desperate Teenage Lovedolls soundtrack. A 1986 recording by The Replacements is featured on the 2017 live album For Sale: Live at Maxwell's 1986. ^ Talevski, Nick (2010). Rock Obituaries - Knocking On Heaven's Door. Omnibus Press. p. 97. ISBN 9780857121172. ^ Cantwell, David (4 November 1998). "Power Pop It Ain't". MTV News. Retrieved 10 May 2016. ^ "Fox On The Run by Sweet". Songfacts. ^ Barnes, Ken (March 1978). "The Glitter Era: Teenage Rampage". Bomp!. Retrieved 25 January 2019 – via Rock's Backpages. ^ "Sweet's "Fox on the Run" Tops iTunes Rock Chart Thanks to "Guardians of the Galaxy 2" Trailer". ABC News Radio. 5 December 2016. ^ "Singles 1975". Dutch Charts Annual Reviews. ^ "NZ Top 40 Singles Chart". The Official New Zealand Music Chart. 18 August 1975. Retrieved 10 October 2016. 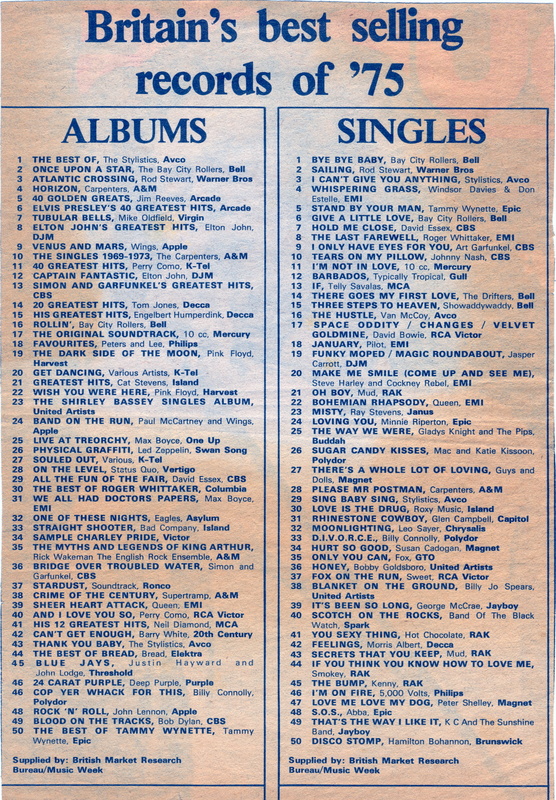 ^ "SA Charts 1965–March 1989". Rock.co.za. Retrieved 1 September 2018. ^ "The Sweet - Fox On The Run". Schweizer Hitparade. Retrieved 15 September 2018. ^ "UK Official Charts". Official Charts Company. 2019. Retrieved 25 January 2019. ^ Joel Whitburn's Top Pop Singles 1955-1990. Menomonee Falls, Wisconsin: Record Research. 1991. ISBN 0-89820-089-X. ^ "Australian Chart Book". Australian Chart Book. Archived from the original on 5 March 2016. Retrieved 10 October 2016. ^ "Jaaroverzichten – Single 1975". Dutchcharts.nl (in Dutch). Retrieved 13 March 2018. ^ "Top Selling Singles of 1975". The Official New Zealand Music Chart. 31 December 1975. Retrieved 10 October 2016. ^ "Top 20 Hit Singles of 1975". Rock.co.za. Retrieved 2 September 2018. ^ "Top Singles – Volume 26, No. 14 & 15, January 8, 1977". RPM. Library and Archives Canada. Retrieved 13 March 2016. ^ "Britain's best selling records of '75". Record Mirror. London: Billboard. 10 January 1976. p. 12. Retrieved 13 June 2016. ^ "Singles". Billboard. Vol. 88 no. 52. 25 December 1976. ISSN 0006-2510. ^ "The CASH BOX Year-End Charts: 1976". Archived from the original on 21 October 2014. Retrieved 5 June 2016. This page was last edited on 1 April 2019, at 11:21 (UTC).